The IMAX release Mile 22 will be digitally re-mastered into the image and sound quality The IMAX Experience® with proprietary IMAX DMR® (Digital Re-mastering) technology. The crystal-clear images, coupled with IMAX's customized theatre geometry and powerful digital audio, create a unique environment that will make audiences feel as if they are in the movie. 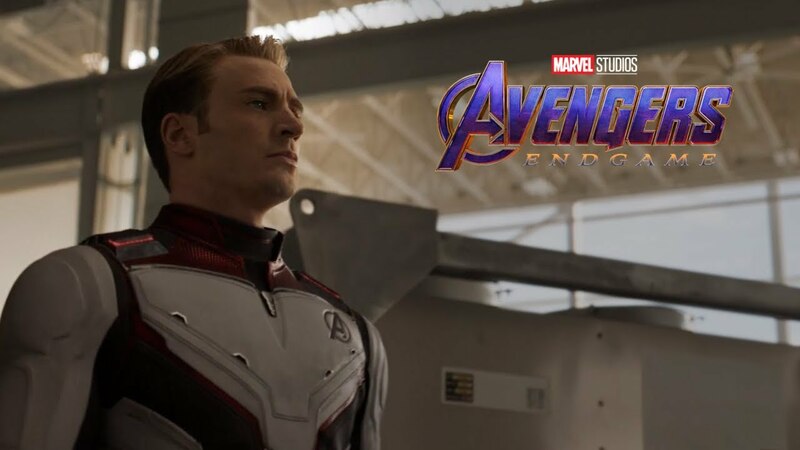 Avengers: Endgamewas filmed with IMAX cameras. Tickets are on sale now. Experience all 20 MCUtitles—from Iron Man(2008) to Infinity War(2018)—to the fullest, in the world’s most immersive film experience. 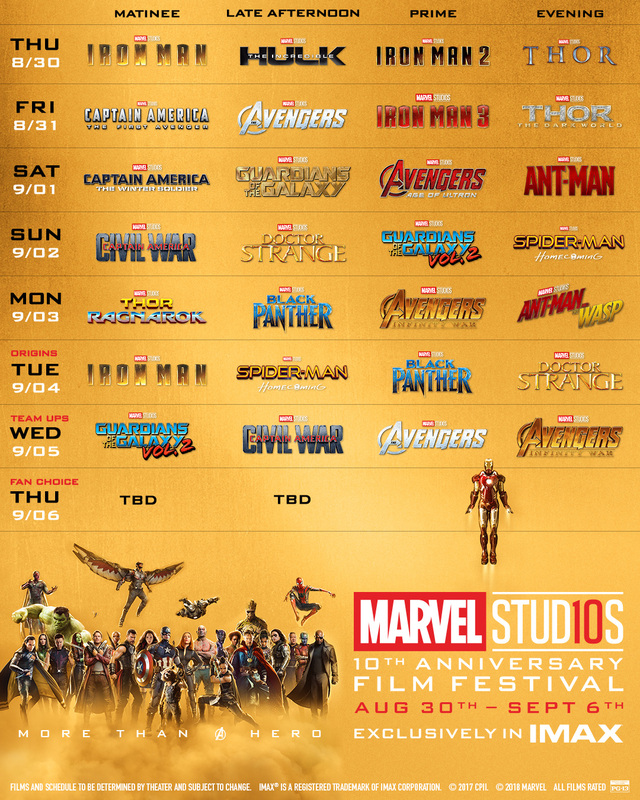 The Marvel Studios 10th Anniversary Film Festivalwill take place in select IMAX theatres starting August 30 th. Reserve your seat before it’s too late. Tickets are now on sale. Only 2 films can close out the final day of our #MarvelStudios10FilmFest. And we’re giving YOU the power to choose.